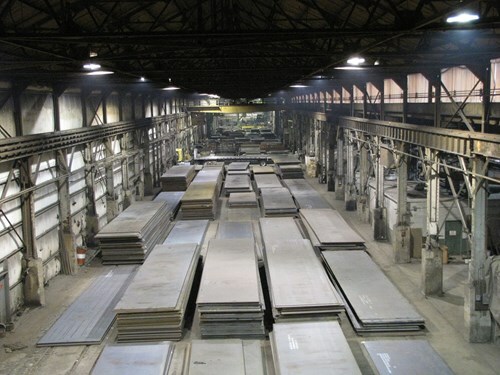 Ohio Steel Sheet & pLATE, iNC.
Our sister company, Ohio Steel Sheet and Plate carries over 50,000-ton of domestic and foreign prime steel plate in multiple grades and sizes. Ohio Steel works closely with WarFab to ensure our raw material needs are always on the floor, at the lowest cost possible. Because of the volume purchased by Ohio Steel, War Fab has the most competitive prices on raw materials right in our own backyard. We also custom mill order direct specialty grades and sizes such as over wide plate, mill edge, and thickness up to 24". 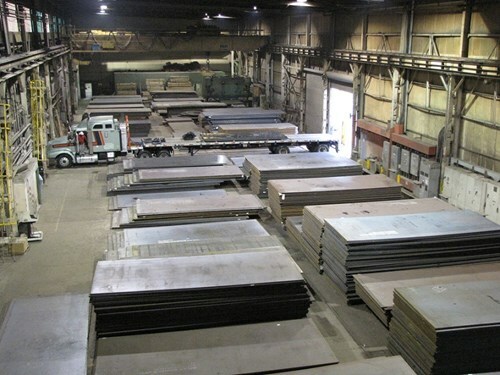 Because we carry the largest inventory of heavy plate, our heavy fabricating and machining is our specialty. There is no waiting 6-8 weeks for mill lead times because we have our stock on the floor. We begin production the minute we receiver your Purchase Order.